Take items out of availability for a particular quotation by marking a quotation as reserved. 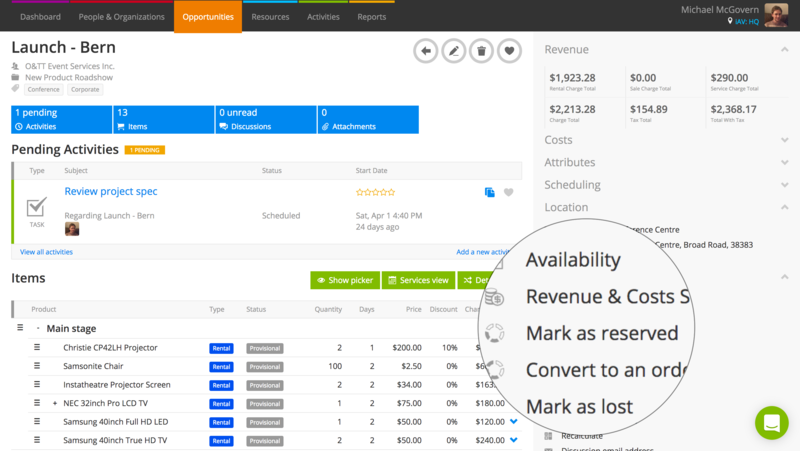 When you add products and services to a quotation, by default those items will be marked as “quoted for” in your availability screens – this means that you can see a count of how many products are on quotations, but those items aren’t yet reserved. If you’re confident that a quotation is going to proceed, you can fully reserve the stock by marking it as reserved. When you do this, availability figures are adjusted for your products and services, as well as any provisional allocations of services or assets. If you signed up for Current RMS prior to May 2017, quotations on your system will be created with the status of “Open”. On open quotations, stock is marked as “quoted for” in the same way as on provisional quotations. However, you cannot provisionally allocate stock or bookable resources to an open quotation. You can turn an open quotation into a provisional quotation by clicking Mark as provisional under Actions. Set your default quotation status in System Preferences. To mark a quotation as reserved, just click Mark as reserved under Actions. Products, services, and any provisional allocations of resources or assets are taken out of availability for this order in exactly the same way that they are for an order. Shortages are highlighted in red, so you can troubleshoot them as normal. To convert the opportunity back to a provisional quotation, click Mark as provisional under Actions. Products and services will be un-reserved and marked as “quoted for” again. 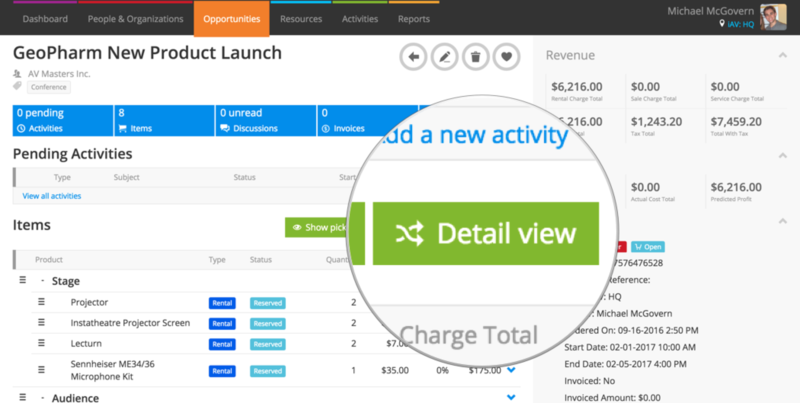 To allocate assets, head to the detail view by hitting the green Detail view button. You can’t prep, book out, check-in, or finalize items on a quotation. Convert to an order to access these functions. When allocating provisional quotations, you’ll see a grey “(Allocated)” status label to distinguish these allocations from fully reserved allocations on reserved quotations and orders. 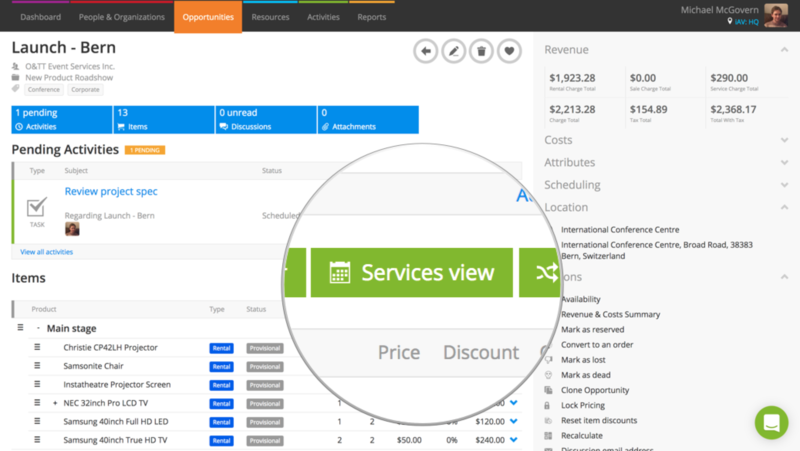 To start allocating staff members, vehicles, or venues, click on the green Service view button. Resources you allocate on a provisional quotation show as a grey block; resources you allocate on a reserved quotation show as a light orange block. These colors are mirrored on the Resource Planner, where you can manage labor and vehicle allocations across your company. If you’ve converted your quotation to an open order and wish to go back, click Revert to a quote under Actions from your order page. The opportunity is reverted to a reserved quotation.